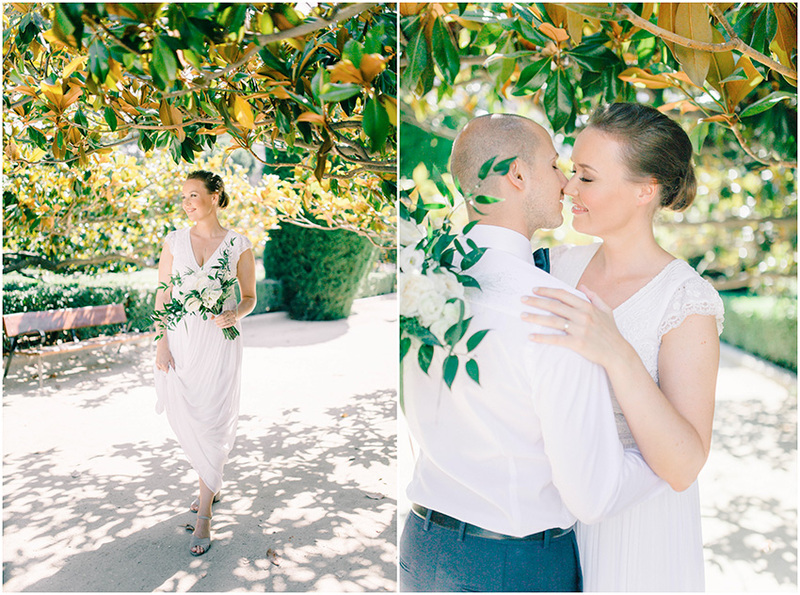 Planning a wedding is one of the most exciting stages of your life. You’re going to marry the person of your dreams, what could be better? However, the thought of this planning can be overwhelming for some people. 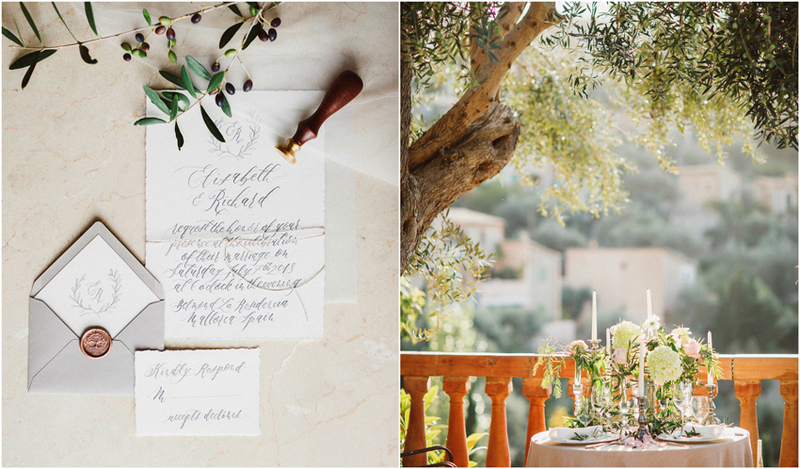 This is where a wedding planning checklist can come in handy. It will organise you and make sure you won’t forget anything! To help you, we have put together some important things to write on your checklist. We’ll start with things to do first and finish with last minute details. Let’s go! 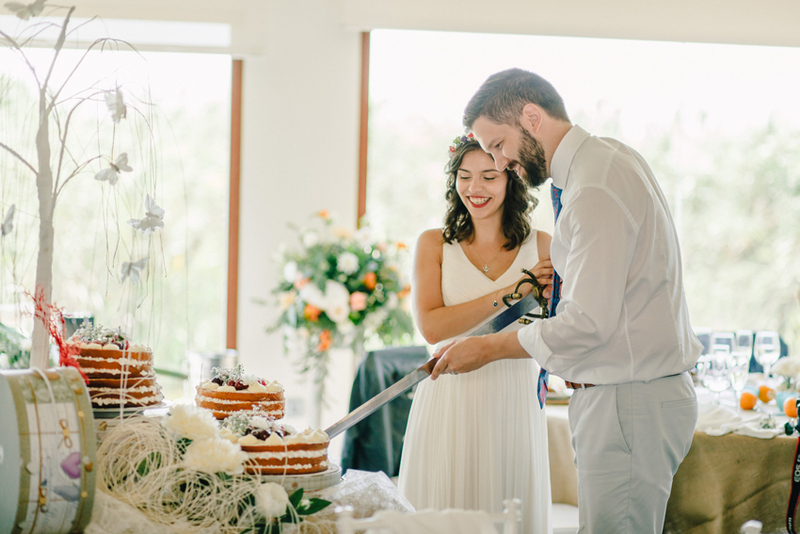 First thing’s first, you need to plan how much you want to spend on your wedding. Then you need to elaborate your budget: what do you want to make a priority? On which parts do you want to allocate the most money? Once you have a budget, you can start looking at venues, decorations and vendors to fit your price limits. Now you know how much you want to spend, you can choose your guests accordingly. Your budget may not allow for a huge list of guests, so you’ll need to decide who you want there the most. It is often the case that more guests get invited for the reception after the dinner, so you can involve more people at the wedding party. A wedding planner will be like your fairy godmother during the planning. She will take away your stress and will know all the best venues and vendors to make your day successful. Having a wedding planner is especially beneficial if you have a busy schedule outside of wedding planning. You can carry on with normal life knowing everything to do with your wedding is being taken care of. Once you have your guest list, you can start the search for your ideal venue which has capacity for all guests. Look for somewhere that suits your style. It could also be a good idea from a financial and convenience point of view to hire a venue in which you can host each part of your wedding. 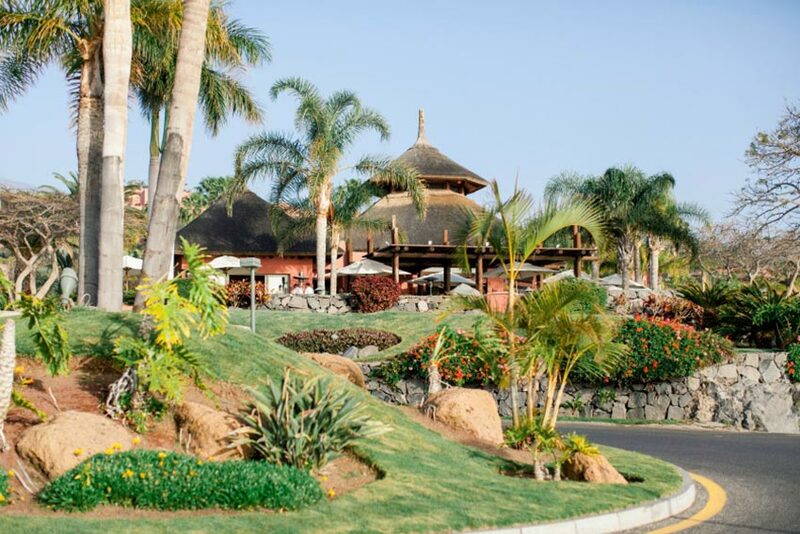 As a result, you don’t have to think about guest transportation during the day, nor guest accommodation. 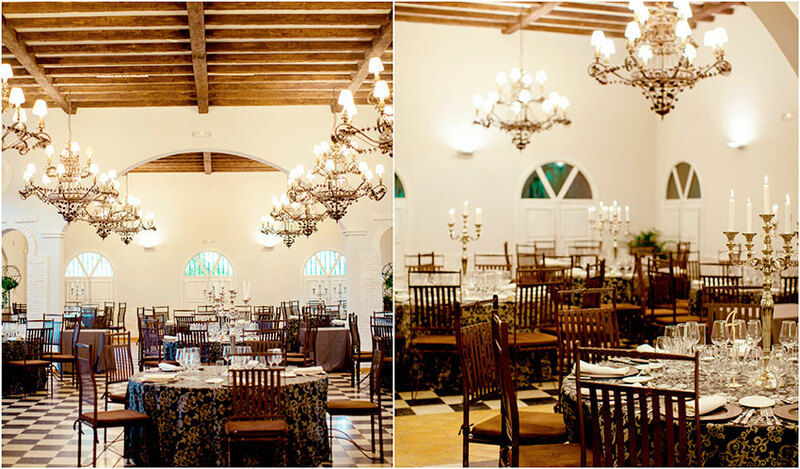 Now you have your venue, you can decide on how you want it to be styled! This is one of the most fun parts. What colour scheme do you want? 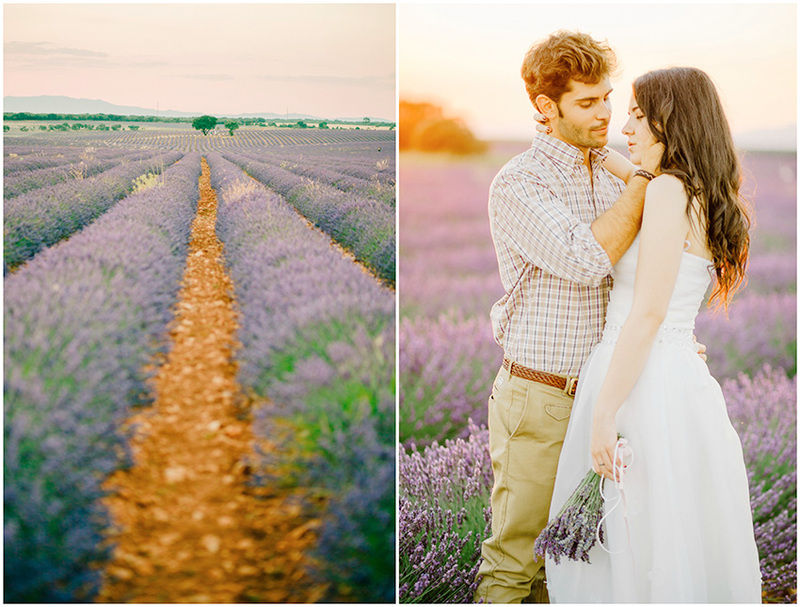 Do you want a particular theme that means something to you as a couple? Flowers? Arches? The list is endless! Pinterest is amazing for inspiration. 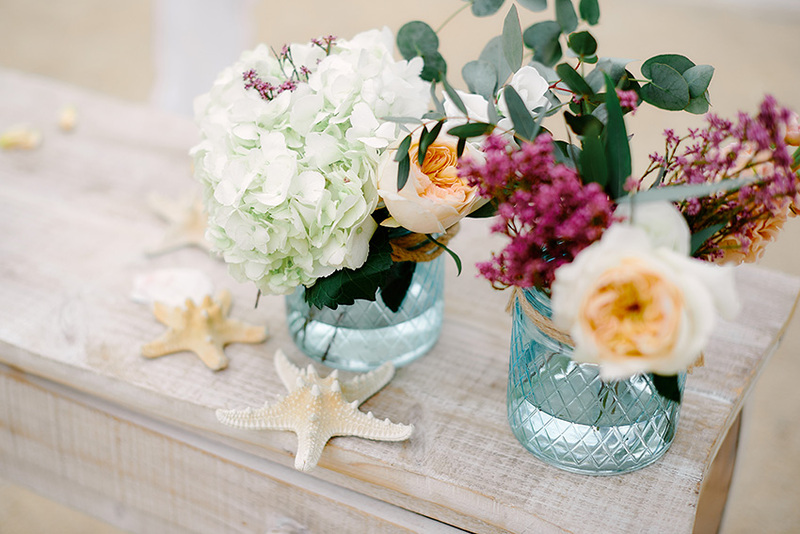 To make your decor dreams come true, start thinking about hiring your florists and other decoration suppliers. 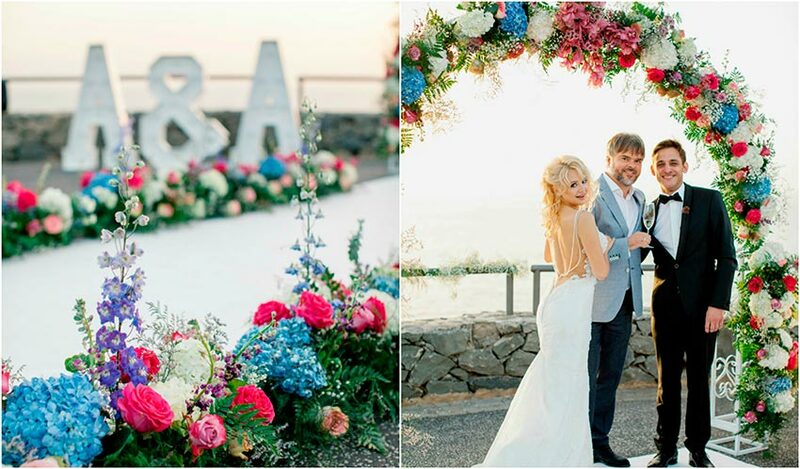 Your wedding planner will know the best vendors to suit your style. Other vendors to hire include caterers, entertainers (such as a live music group or DJ), and a photographer/videographer. 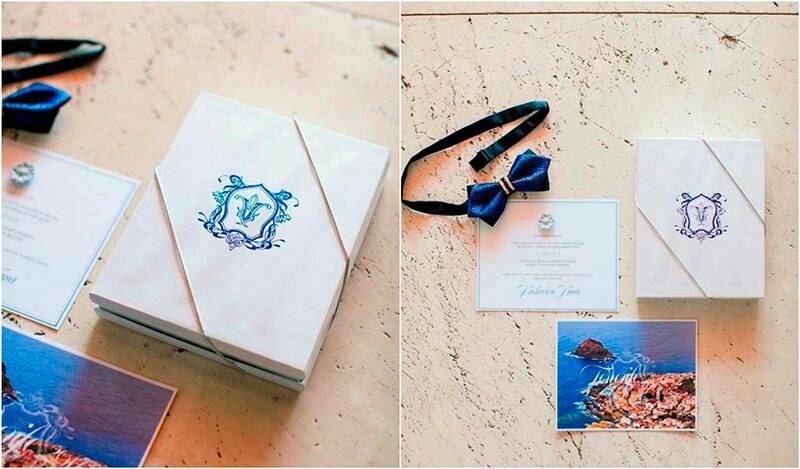 Design your save-the-date cards and invitations to suit the style of your wedding. 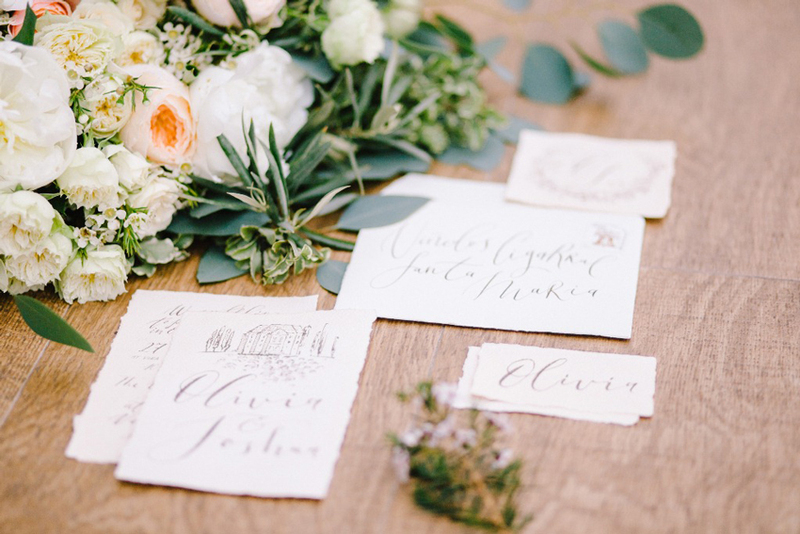 Include an RSVP and make sure you set a date you want your guests to confirm by. Start looking at potential wedding dresses and bridesmaid dresses to allow for fittings. 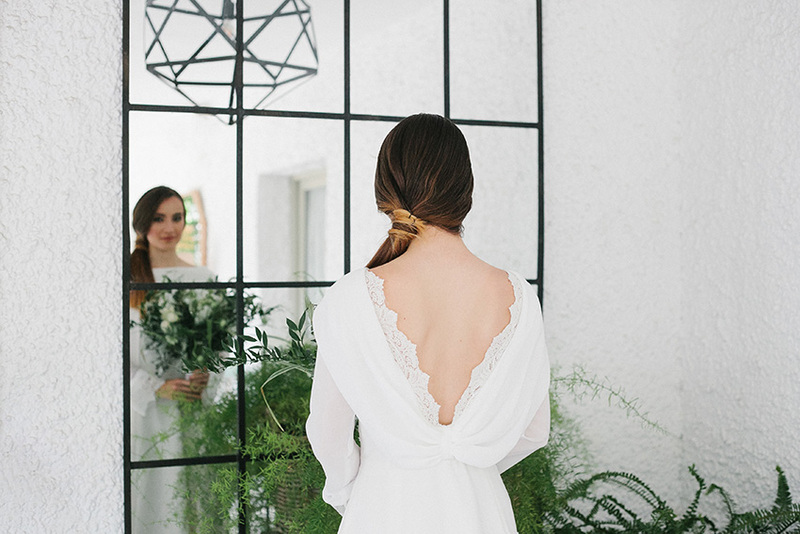 Buying a wedding dress is a beautiful moment, we hope it’ll be a memory you can treasure forever. Also look for outfits for the groom and groomsmen. It is a nice touch to incorporate a similar colour scheme to the bridesmaids’ and groomsmens’ outfits. For example, their ties could match the colour of their dresses. 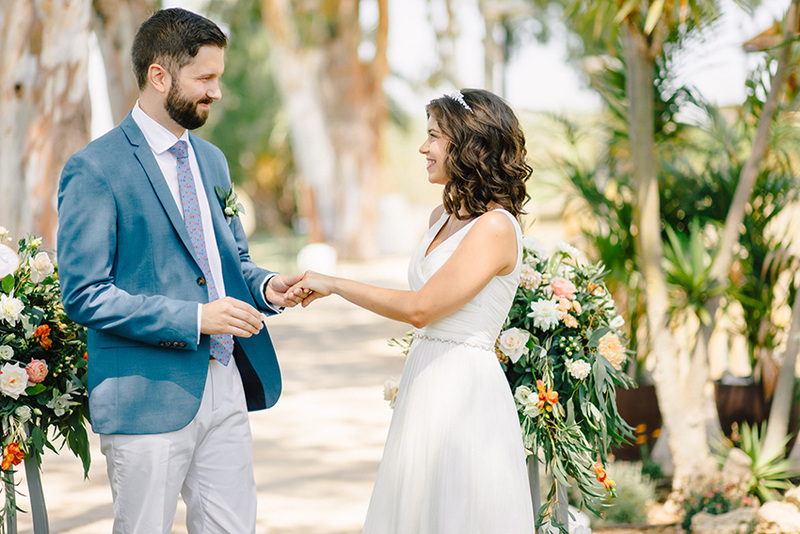 If you have opted for a non-religious ceremony, hiring an officiant is the next step. Nowadays, it is becoming common for couples to choose friends or family members to do this. 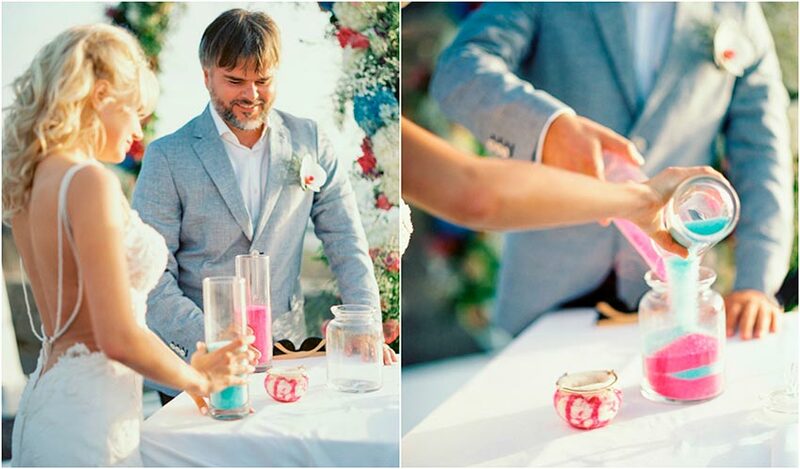 More traditionally, there are professionals who carry out the ceremony. Think about what you want to eat on your wedding day. Consult your caterers regarding what options they have and arrange a menu tasting. A tasting will give you the opportunity to know if you like the menu or not. Whilst we’re on the topic of food, now could be a good time to think about your cake. You and your husband can go and choose your wedding rings together, or you can leave it as a surprise. Just remember to get them ready on the morning of the Big Day! 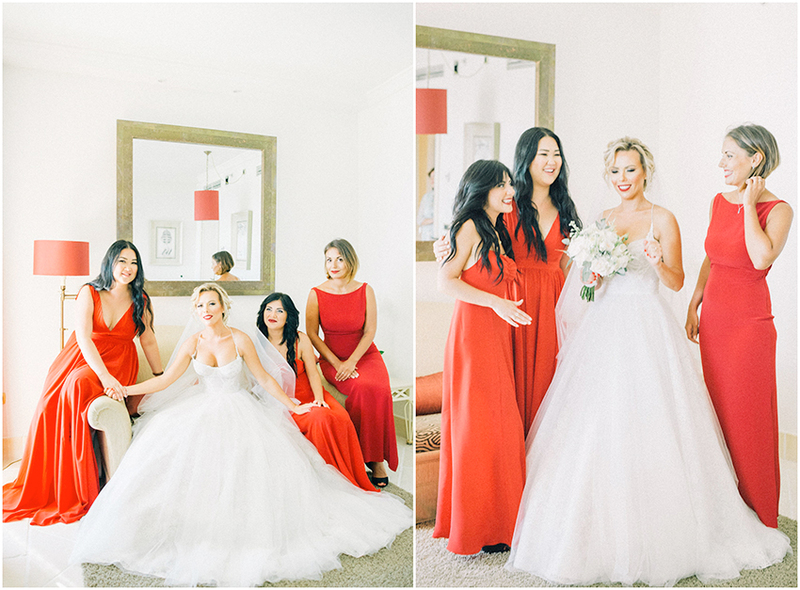 Organise who you want to do the bride’s and bridesmaids’ hair and makeup. It is always a good idea to organise a makeup and hair trial to work out timings and make sure you and your bridesmaids are happy. Often the hardest part for couples is deciding where to seat their guests at the ceremony and banquet. Think about who would like to sit with who and whether or not you’d like a top table. 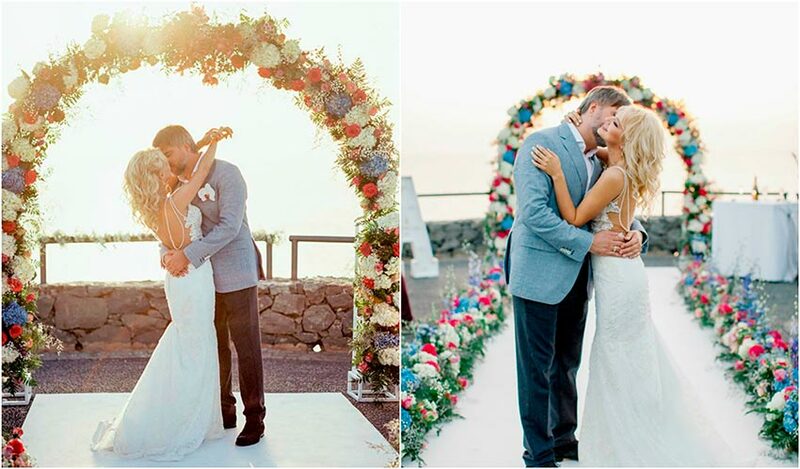 The time has come to write your all-important vows if you have chosen to create your own. Make them personal and rehearse them so you are ready for your big moment. Show your guests your appreciation with a small gift. Knowing what to get can be difficult, but here we have compiled a list of ideas for guests’ gifts. We hope it helps! Speak with your partner and family about what songs you’d like to play at your wedding and reception. Once you have a list, you can send this to your chosen DJ/musician to make sure they’re prepared. Now sit back and relax, most of the planning is now done. Consult with your wedding planner about a wedding coordinator to ensure the smooth running of your big day from start to finish. This will remove last minute panicking as they will resolve any issues on the day. Here are some things to think about when creating a wedding planning checklist. Of course, a wedding planner could be a huge help during this process. 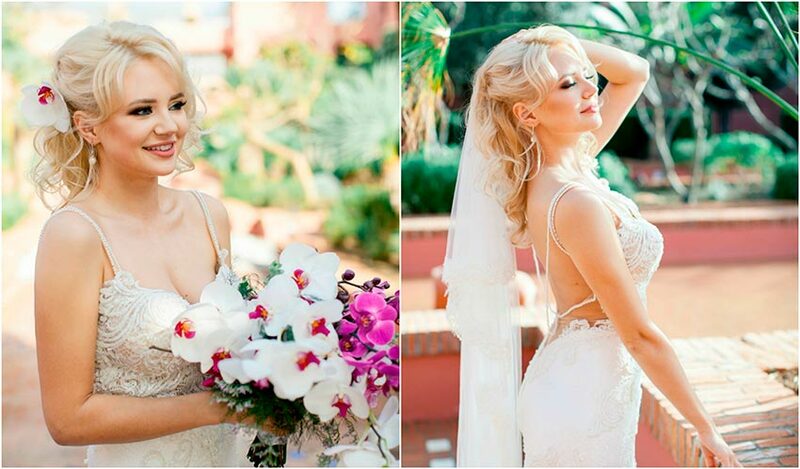 To work with our expert wedding planner, you can write to us at info@svadbavispanii.ru to get the process started. Have you just got engaged and you have all the preparations ahead of you? Have you started the preparations and are lost between formalities? 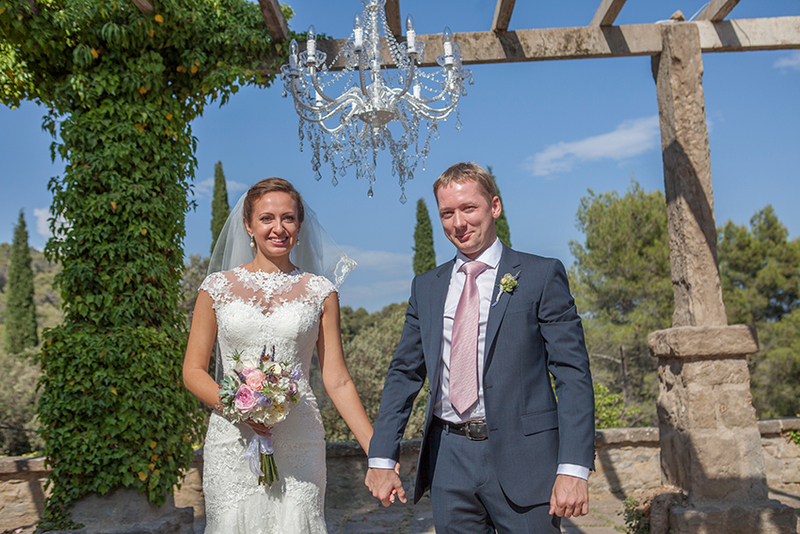 Do you need someone to take control of the organisation of this special day so you can enjoy it to the maximum? The solution is clear : you need a wedding planner in your life. 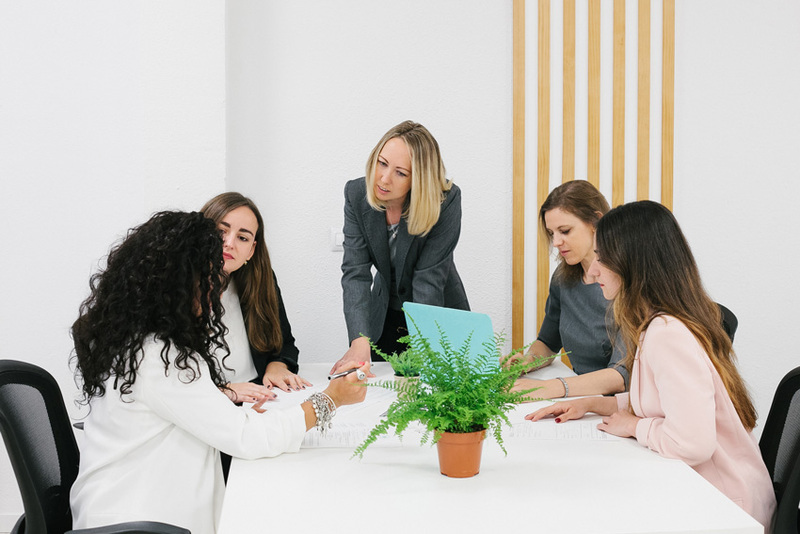 If you are still unsure about the importance of this type of professional for the organisation of your wedding, in this post we explain the advantages to hire a wedding planner. Let’s do it ! 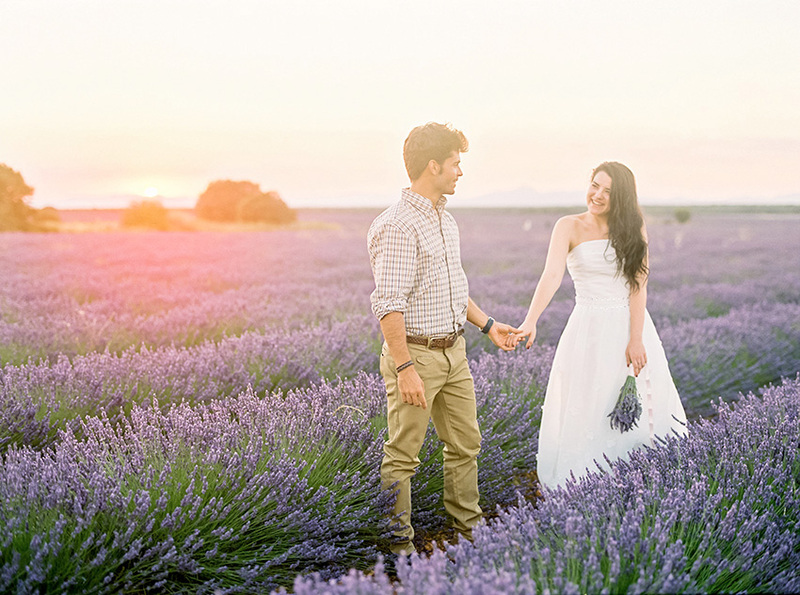 A wedding preparation is exciting and wonderful, but it can be sometimes intense and frustrating if you are not going in the right direction. It is about coordinating lots of details, bills, documents and providers, and it is hard to keep everything in mind without forgetting anything. Because for sure, in addition to the organisation of the wedding, you will have to work, organise your day to day life and do a thousand things at the same time. Nevertheless, a wedding planner is a professional dedicated to the organisation, who keeps in mind everything about the big day and every detail of the wedding to make sure it goes perfectly. Precisely for your peace of mind, having someone as a figure who knows everything about about your wedding will automatically eliminate any stress and you will be able to enjoy preparations without this tension that can be overwhelming. 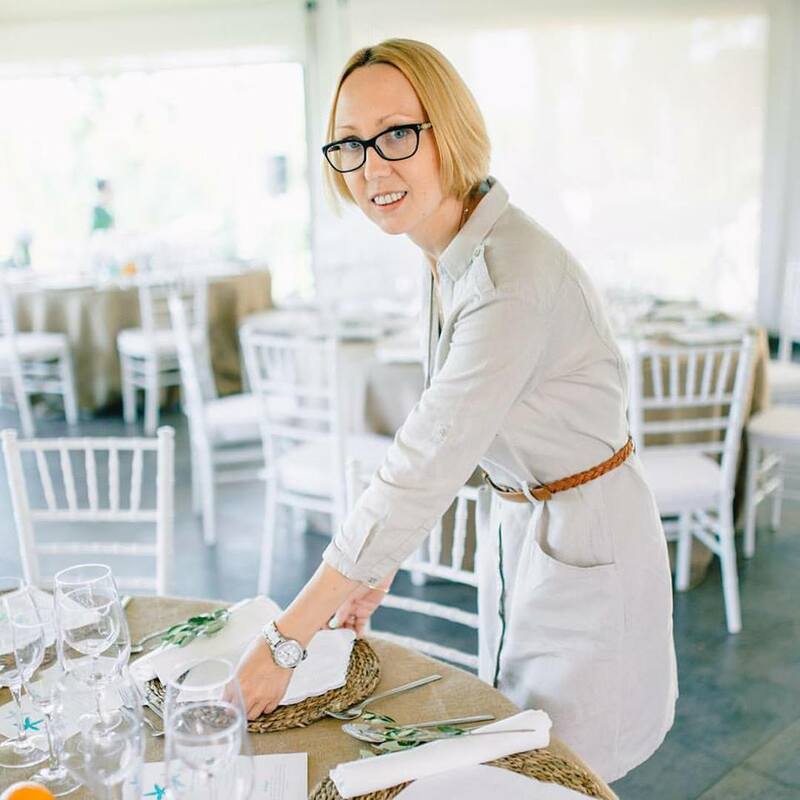 A lot of couples have doubts about what a wedding planner really does and it is totally understandable, as some figures of this sector call themselves “general” wedding planners. 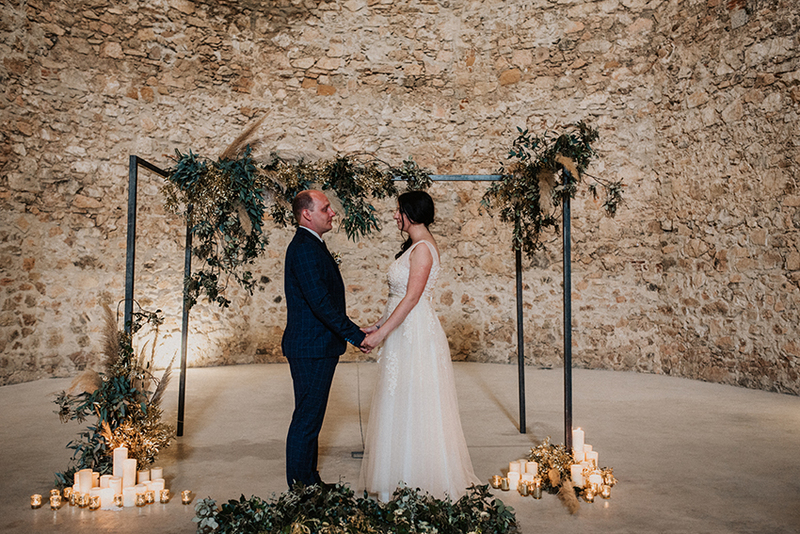 In the post called differences between a wedding planner and a venue coordinator, we explain in detail the differences between those two professionals in the wedding world. One of the differences is that a wedding planner will be by your side during the entire process of preparations and during the wedding, she will be with with you from the beginning until the end, from when the bride is getting ready to when the last guest is leaving. She will always keep you calm. This point might be the most surprising and attractive. You may think : how will I save money if I have to hire her and pay her fees? Here is the explication. A wedding planner will get you the best professionals at the lowest price, and then will make sure you have excellent quality in everything you are asking for without exceeding this price. Keep in mind that she has years of experience and more connections in the bridal world that make her able to get the best at the best price. 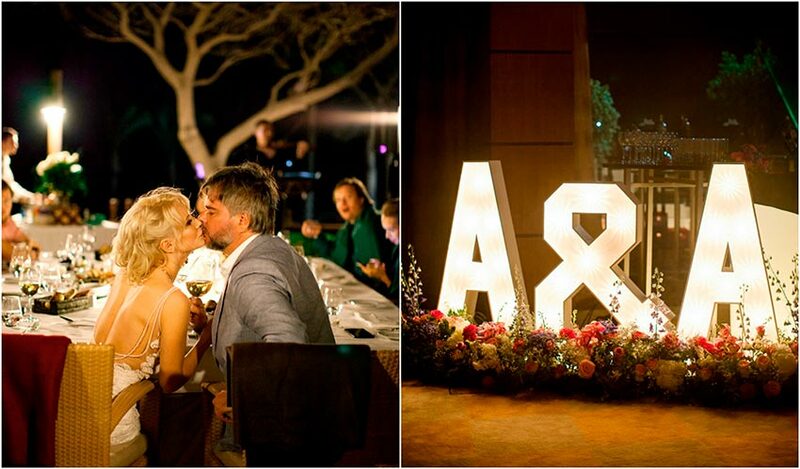 The main concern of every couple is that their guests feel comfortable and enjoy the whole celebration. But being with them at the same time as organising your wedding and enjoying it sometimes is impossible. But rest assured, for a wedding planner your guests are the most important along with you. She will look for the best accommodation if they come from abroad, make a welcome kit with all the information they need, organise activities for the days before and after the wedding and ensure that, at all times, they feel comfortable and integrated. 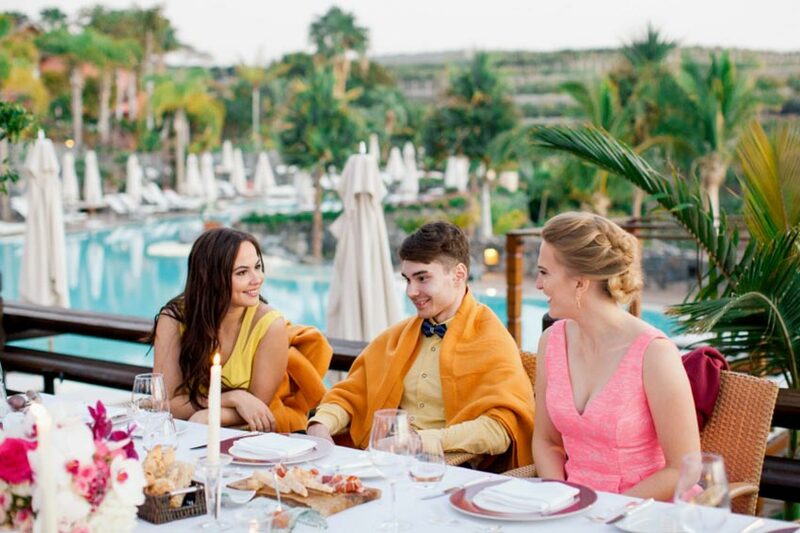 This is especially important in a destination wedding or a mixed wedding, where there are guests who come from abroad and who sometimes do not speak the same language. 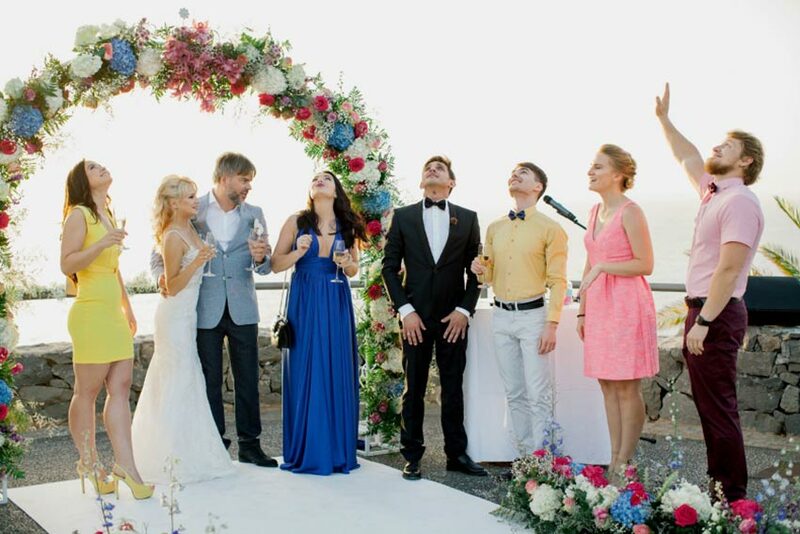 Your wedding planner will make sure that communication flows, that the master of ceremony is bilingual if you want it that way, and that everything goes smoothly. She has been in the business for years and has all kinds of contacts and relations. Experience gives you resources to know how to recognise the best professionals and not only for their results but also for being efficient during the all process, the day of wedding and the months before. 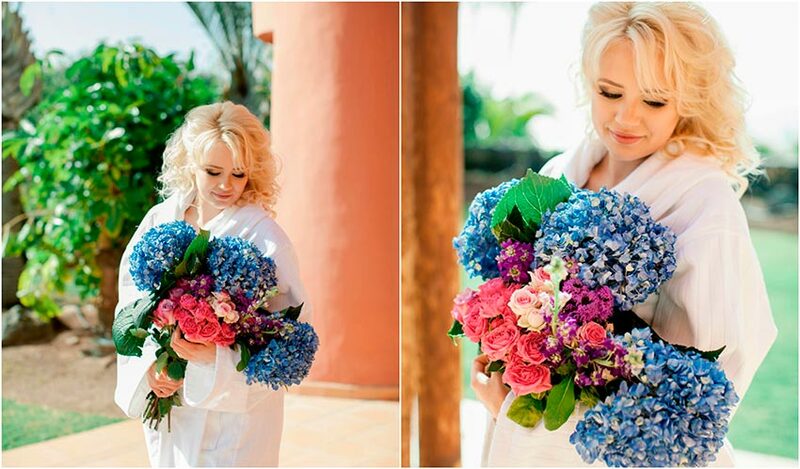 She will advise you about the best photographers, florists, designers… and always according to your style. Despite knowing everything about planning, a wedding planner is also someone who keeps up to date with new trends. Maybe you cannot choose something about the decor, doubtful about the style you like, … but a wedding planner will make sure that your wedding has the style you are looking for and will show you every possibility. Problems always happen to a greater or lesser extent, but what you need for this moment of stress and tension are solutions. 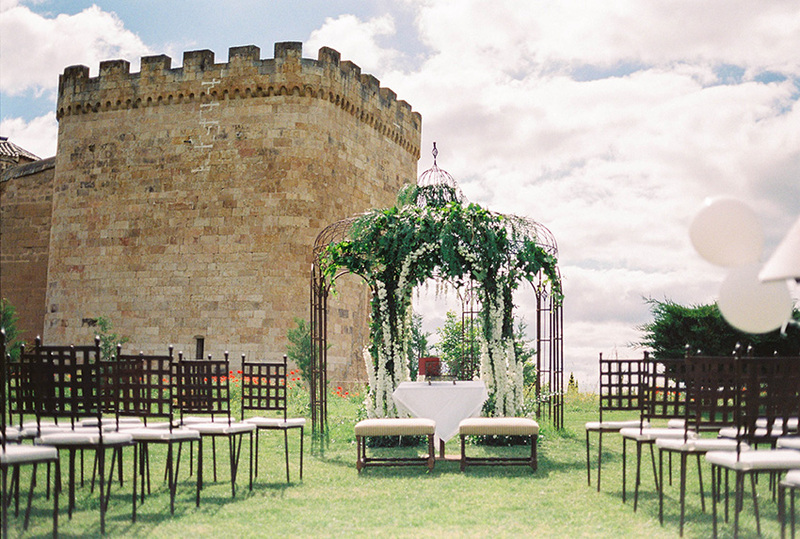 This is where your wedding planner comes in. It is possible that you will never know about an “incident” that showed up during the process, since this professional will fix it for you before you even know about it, as your only goal is to enjoy this time and relax. Even though for her your wedding is the most important thing in the world, she is someone who is not part of the family and that can take decisions and propose ideas with more distance, without being overwhelmed by stress and emotion. However we can assure you that after the wedding, she will part of your family. A less attractive point but still very important : the budget. A wedding planner will strictly adhere to the budget of the wedding, so that it will not be exceeded at any time, knowing where to allocate more or less budget and leaving part of it for possible unforeseen problems that may arise. She will not leave anything to chance and she will have everything measured. Furthermore, the issue of bills, times, deadlines … everything, she will take care of it and will be in charge of notifying you when you have to make some payment so that you are never left in the dark. The most important of all, and this is why we leave it until the end, is that having a trustful person to organise the happiest day of your life Is priceless. You will see how, as soon as you sit down to talk about the wedding of your dreams, she will immediately get down to work to make it happen. And there are 10 reasons why you should hire a wedding planner, that will watch over you and will allow you to enjoy your celebration. 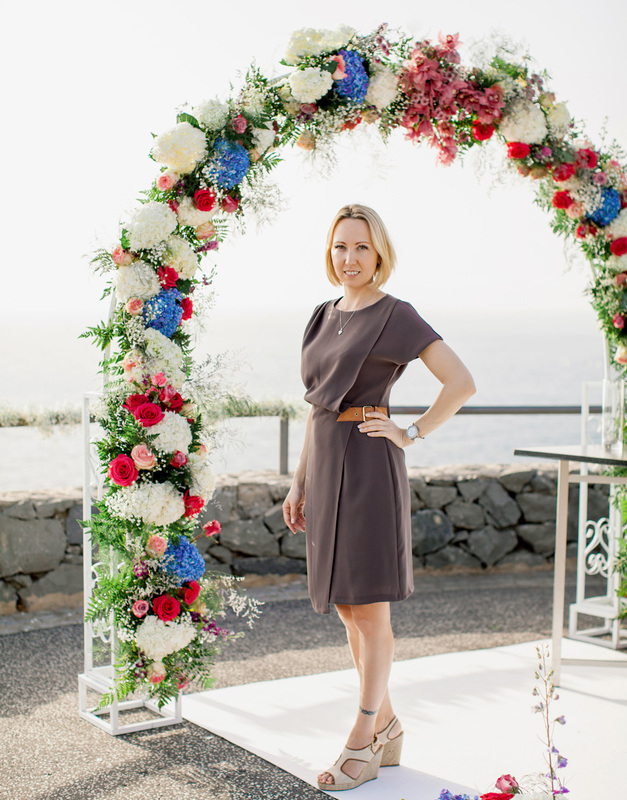 If you want to delve deeper into understanding the role of a wedding planner, we can explain everything to you in detail. We wait for you at info@svadbavispanii.ru, to solve your doubts. We do not enjoy anything more than making your dreams come true! 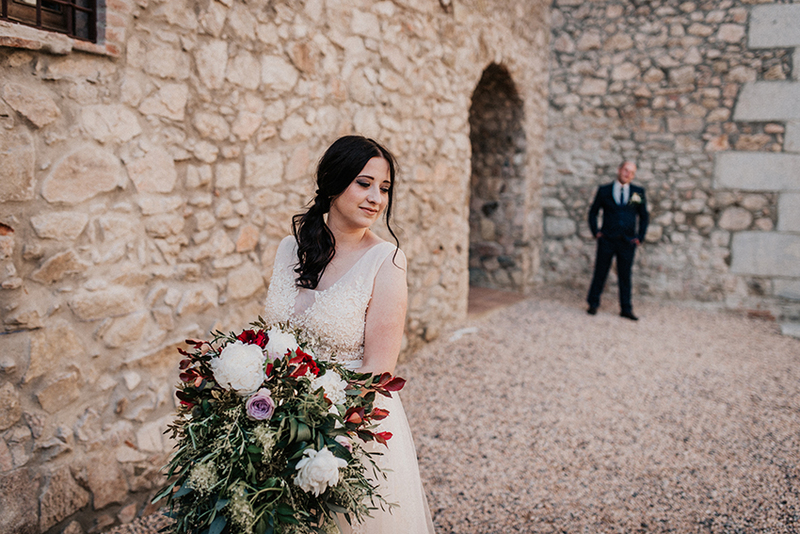 After several years specialising in wedding and events planning, at Weddings and Events by Natalia Ortiz we know that, in addition to the ability and the extensive knowledge necessary in order to be able to work in this profession, there is something more important to success: the experience. During every wedding we give our best effort to get the best result and exceed the expectations of our customers, and our weddings and our events are unique. This is, at the same time, our real goal and what gives us the highest satisfaction. For this reason, we want to show some of our beautiful weddings and all the experiences that give us the opportunity to develop in the field of weddings and events planning. We have given our best effort in these challenges, and we always had the peace of our customers at the centre of our mission as well as solving all the problems that we have encountered. 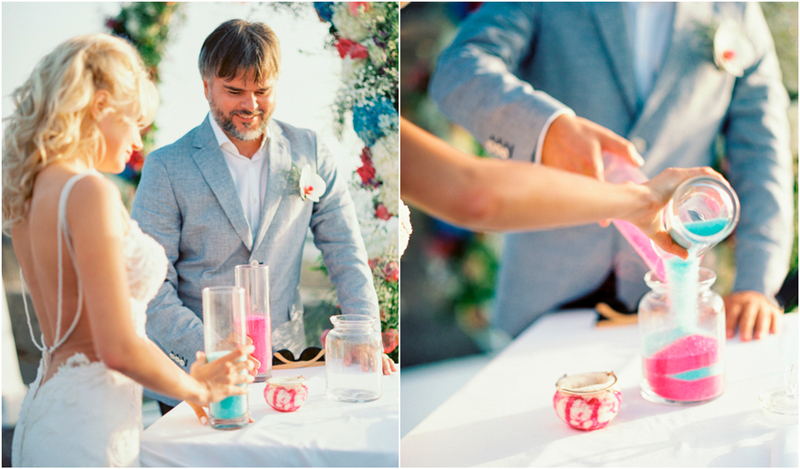 Anita and Alexey’s wedding was a colourful event filled with happiness. You only have to see how wonderful their smiles were during the whole day to understand how special it was. We organised the wedding 6 months before the date. 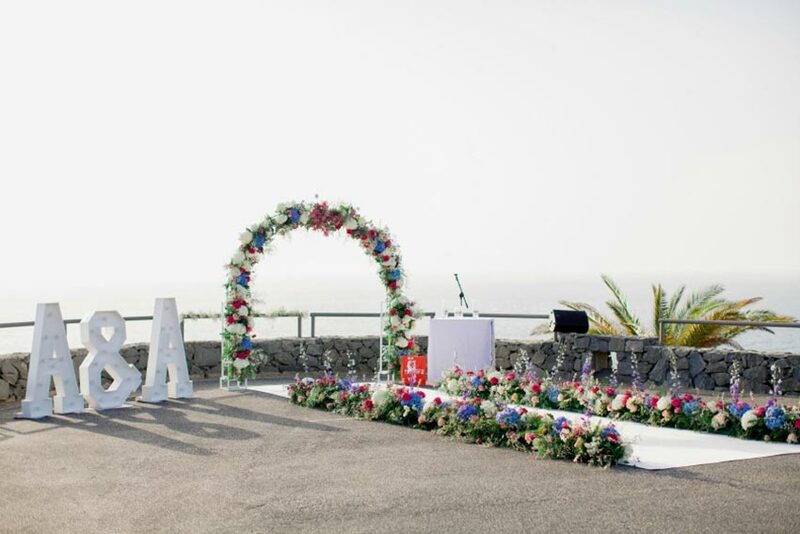 All the decorations had to be in harmony with the amazing Tenerife view where the wadding took place. 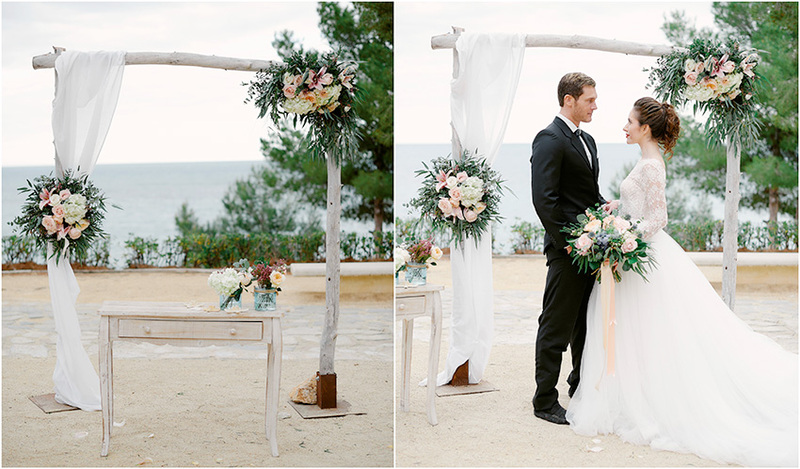 There was a strong wind that day, and the waves were so high that they reached the wedding venue. However, we thought of a solution in just a few minutes: to set up the celebration on the viewpoint of the hotel. So we found a resolution to the wind problem without losing the amazing view. As a result we had a couple that couldn’t be happier. 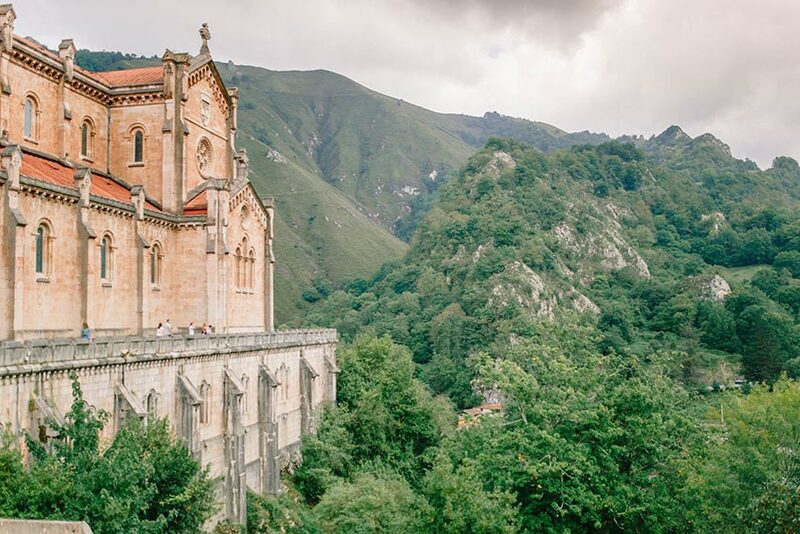 Kaci and Dave married in the Natural Picos de Europa Park in Asturias, a wonderful place in which the green space all around was the main feature. Just as the venue on top of the highest mountain peak was ready for the celebration, the weather changed. The clouds turned the green view into a grey atmosphere, that wasn’t perfect for the pictures. 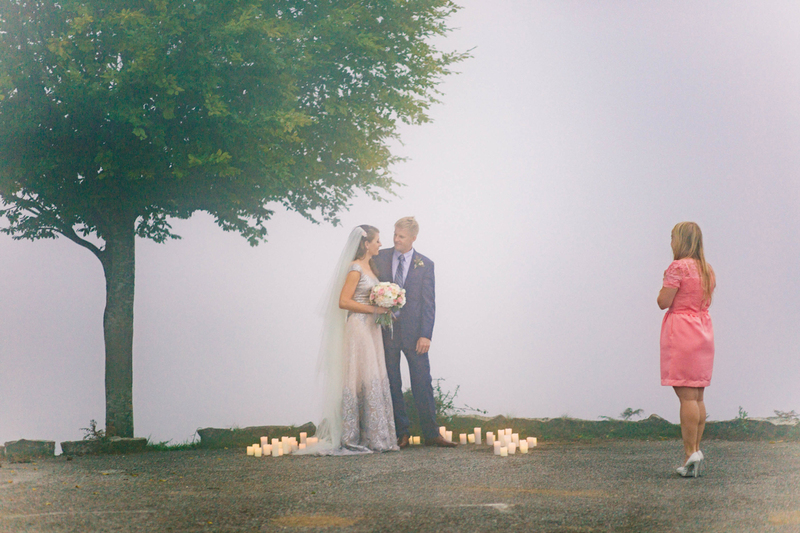 So we decided to make use of the clouds to create a romantic atmosphere using some candles placed around the venue. As a result, we had romantic and bright pictures thanks to the candlelight and the white clouds. 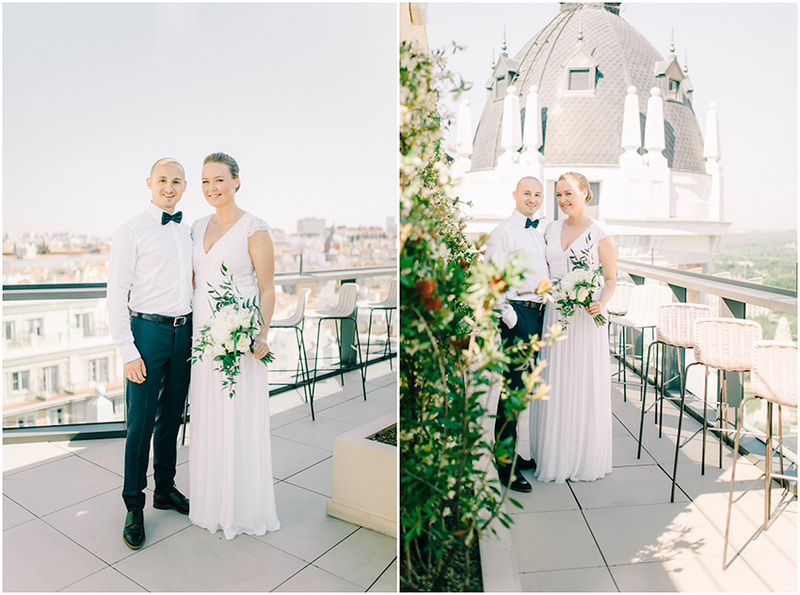 During Olga and Denis’ wedding preparations, the future wife received the most important news ever: she was pregnant !The problem was that the wedding dress order was already confirmed some time ago and it had been sent from a far distance. Furthermore, Olga couldn’t try it on, because she was on a business trip in Thailand. 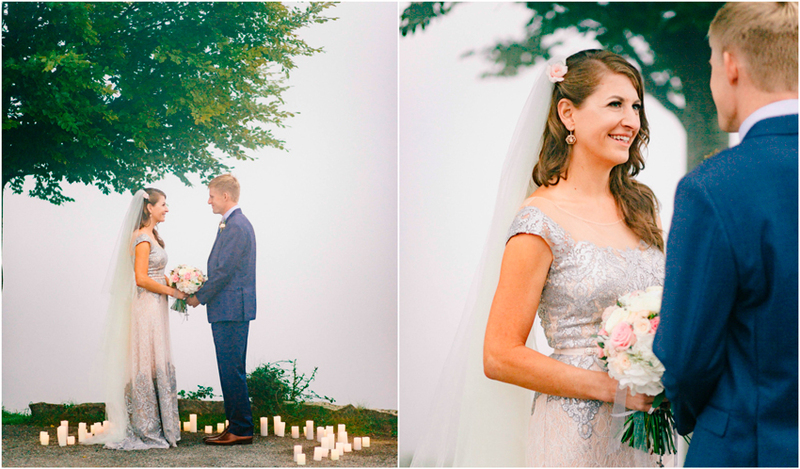 Without the possibility of altering the dress, we started to look for a new one, and in the end, we found two! Olga looked very elegant and brilliant, and to feel comfortable during the dance, she wore another dress. This is what we always suggest to our brides, because if they do they can dance all the night without problems. The most important is…to enjoy yourselves! Teresa and Ernest decided to get married in a Church, so they needed all the required documents. 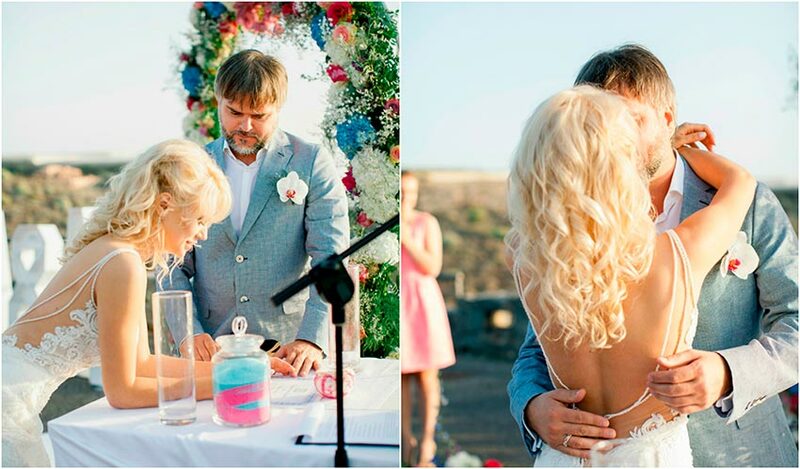 The documents arrived only one month before the wedding day, even though we completed all the procedures in advance. 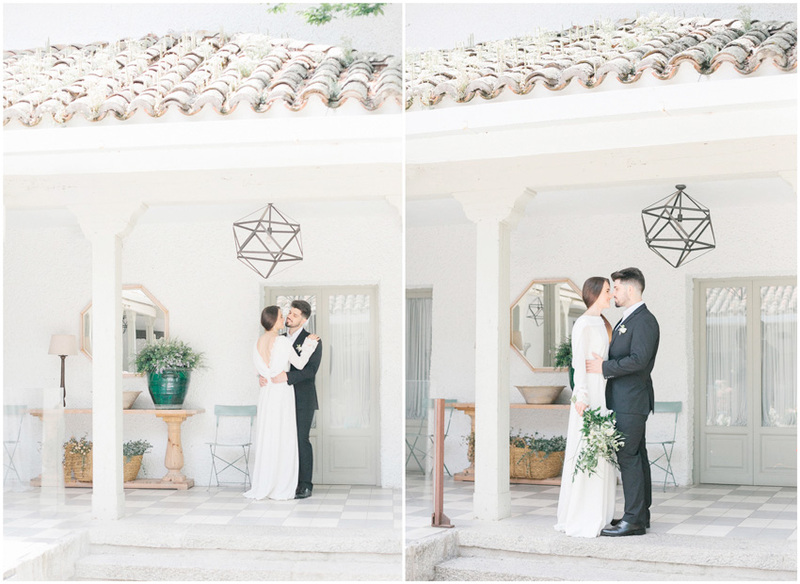 Without the papers required, we couldn’t choose the wedding date and we couldn’t reserve the wedding location, so we planned the event in just one month. Unbelievably, it was possible and it also was a wonderful event, as the pictures show. 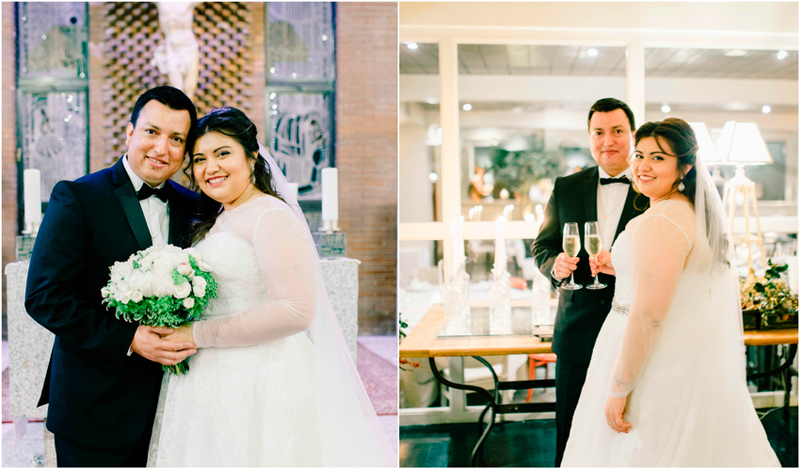 These are only some of our experiences that we wanted to share with you, and that helped us to improve in the weddings and events planning world, without losing our most important goal: ensuring the tranquility of our clients. 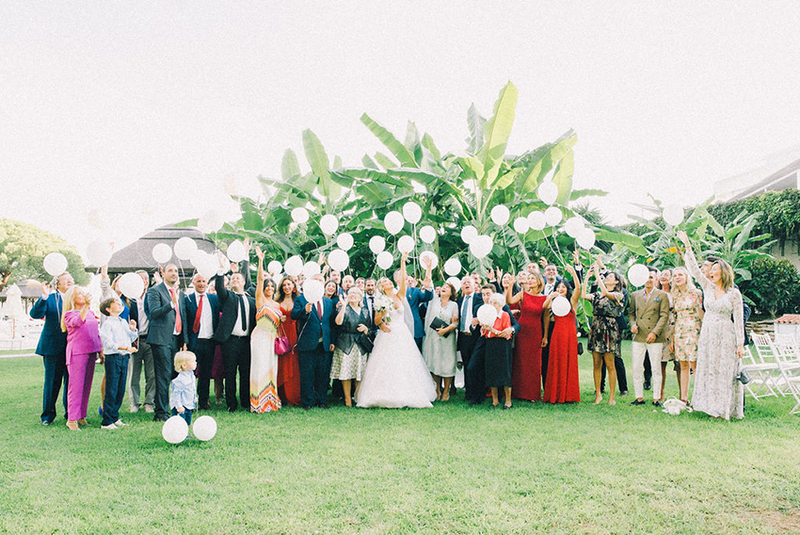 At Weddings and Events by Natalia Ortiz we have been working for more than 6 years doing what we like the most: making the dreams of our couples come true by creating the perfect wedding for them. We are specialised in luxury weddings, in which we work to achieve excellence. 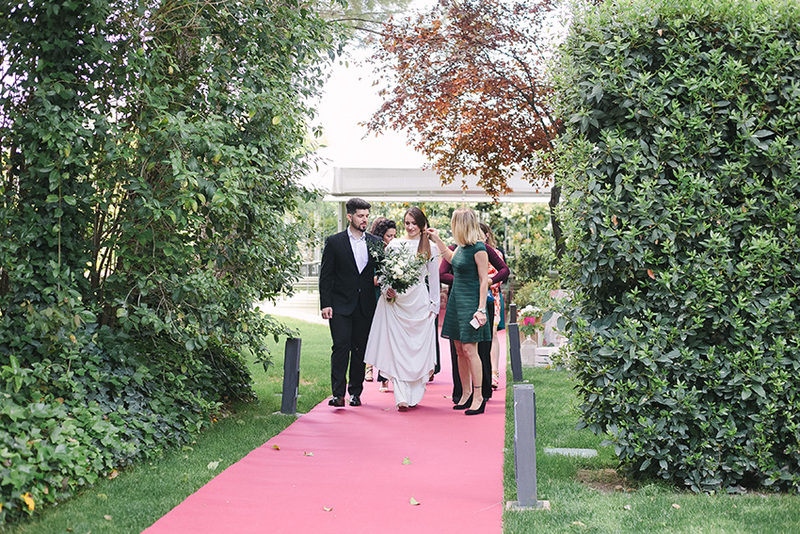 Some of the fundamental objectives are to make the couple and their guests extremely happy and relaxed, and to take care of all the details. 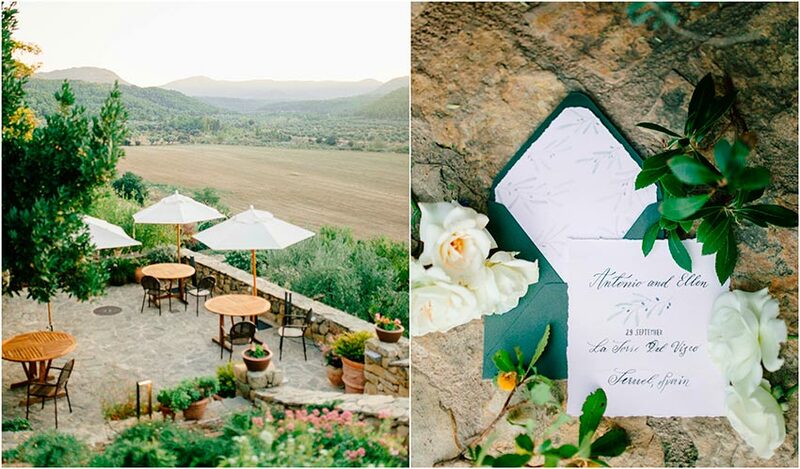 We explain to you below the most important points to organise luxury weddings. Luxury weddings are always unique events: each one is different. We make a custom design for each couple who want to celebrate their wedding with us. To achieve the success for the wedding it has to reflect the personality of the couple and everything they have envisioned for this day. We have to keep an open mind and create the wedding of their dreams. Besides the couple, guests are also an important part of the wedding and they should fully enjoy the entire celebration. How do we ensure this? 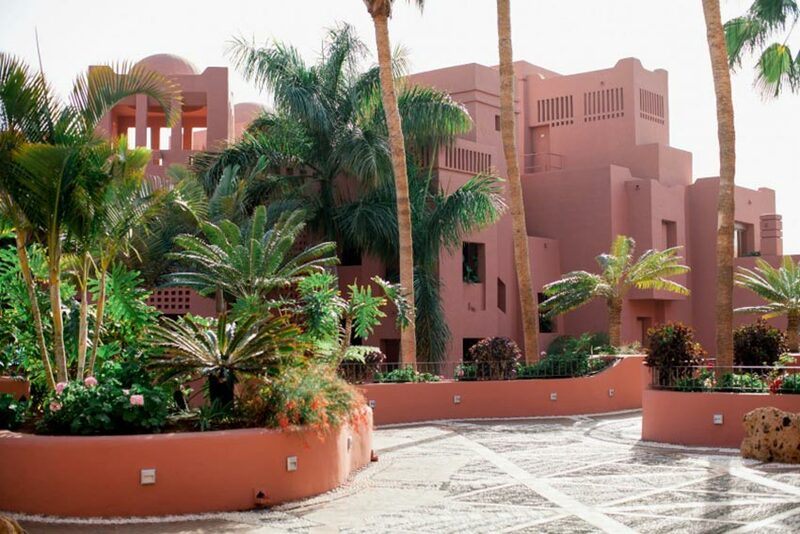 With an exquisite service in which all the details are perfect. Every guest has to feel special and enjoy this day full of happiness. 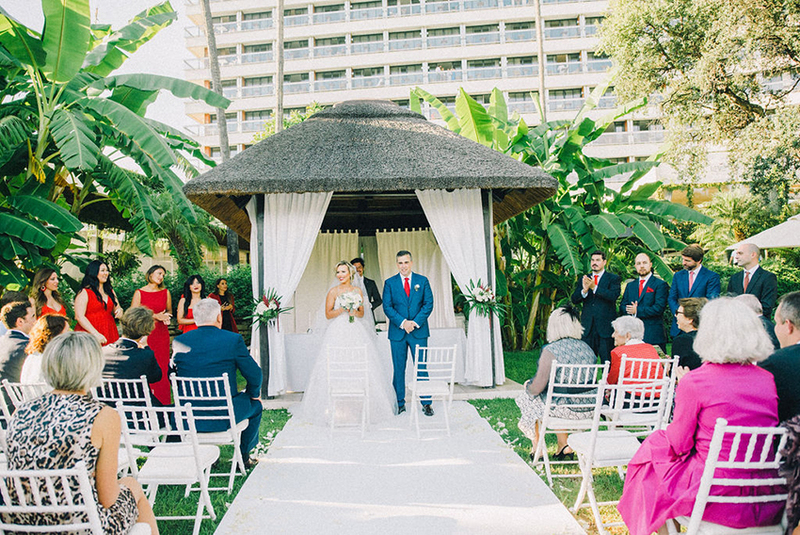 We are also specialised in destination weddings, in which usually the guests speak different languages and we have to make sure that everyone is comfortable and integrated. Therefore, our coordination service on the day of the wedding does not end until the last guest leaves. 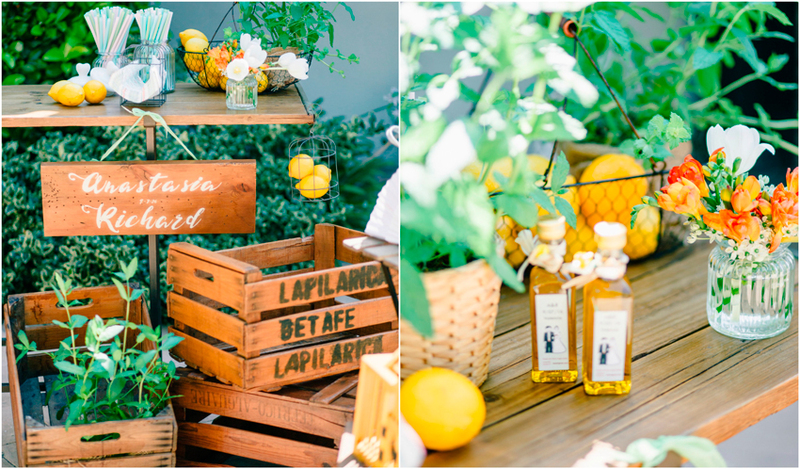 The difference of luxury weddings are the details. 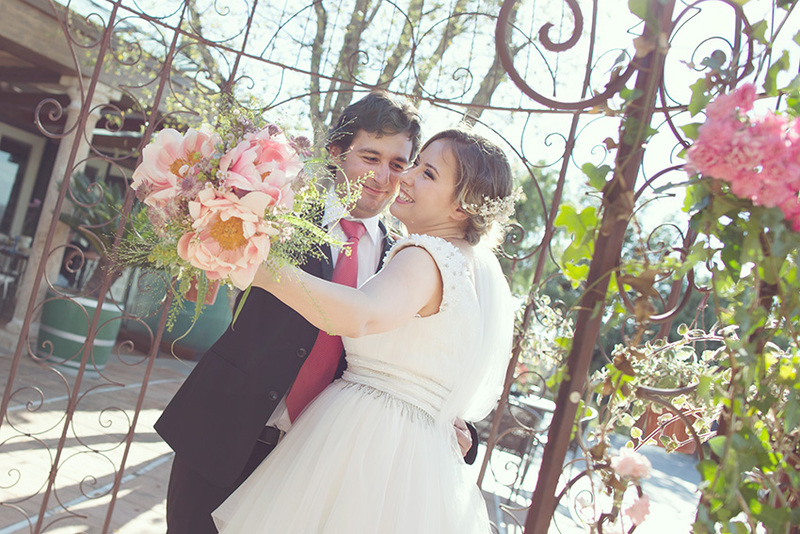 In Weddings and Events by Natalia Ortiz every last small detail is planned so that everything goes perfectly. The decoration of the ceremony and the banquet, the invitations’ design, the details for the guests… everything, absolutely everything, is done to the highest standard. 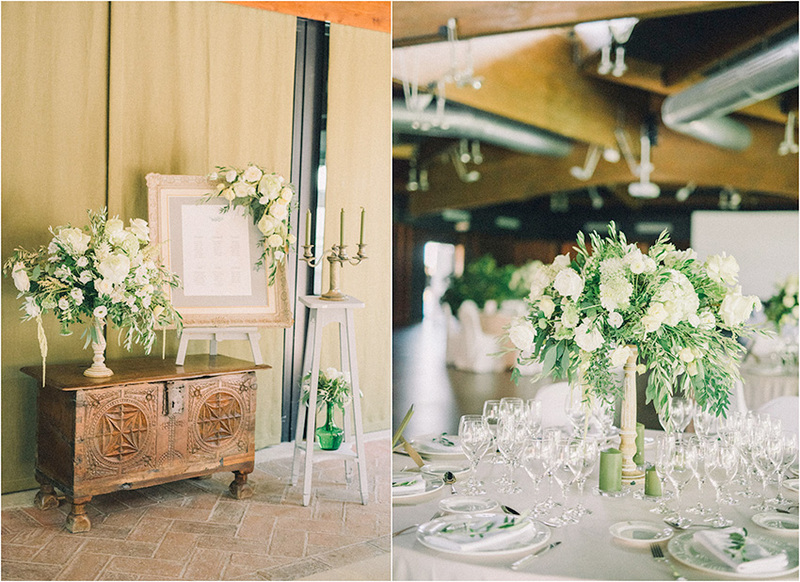 In luxury weddings there is no space or time for improvisation. We know that there is always something that can appear or change at the last minute and that is why we always contemplate all the possibilities in advance. We always have a plan B that will guarantee the success of the wedding. We have a rigorous timeline that will guide the entire celebration. And all this could never be achieved without exceptional professionals. 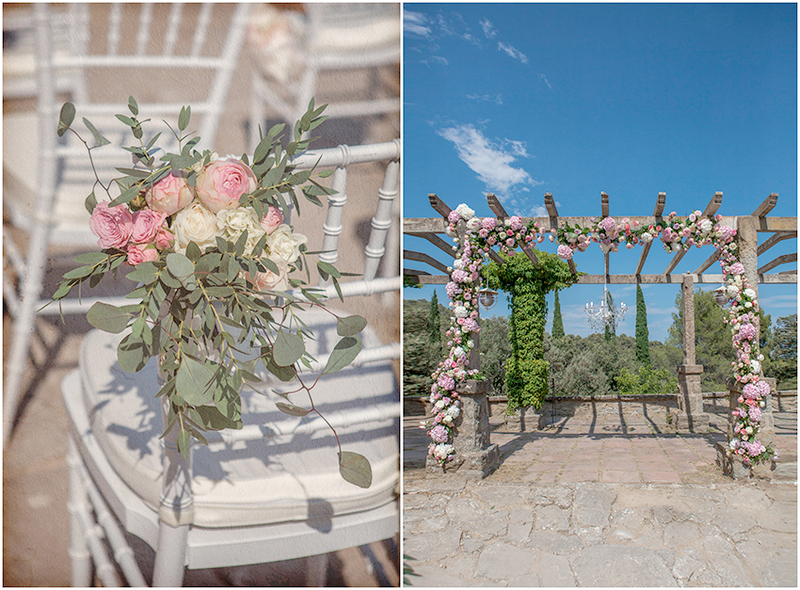 We always work with the best professionals in the bridal sector: florists, photographers, designers, musicians… all the professionals we work with when we organise a luxury wedding are always teams in whom we trust completely and excellence is always guaranteed. 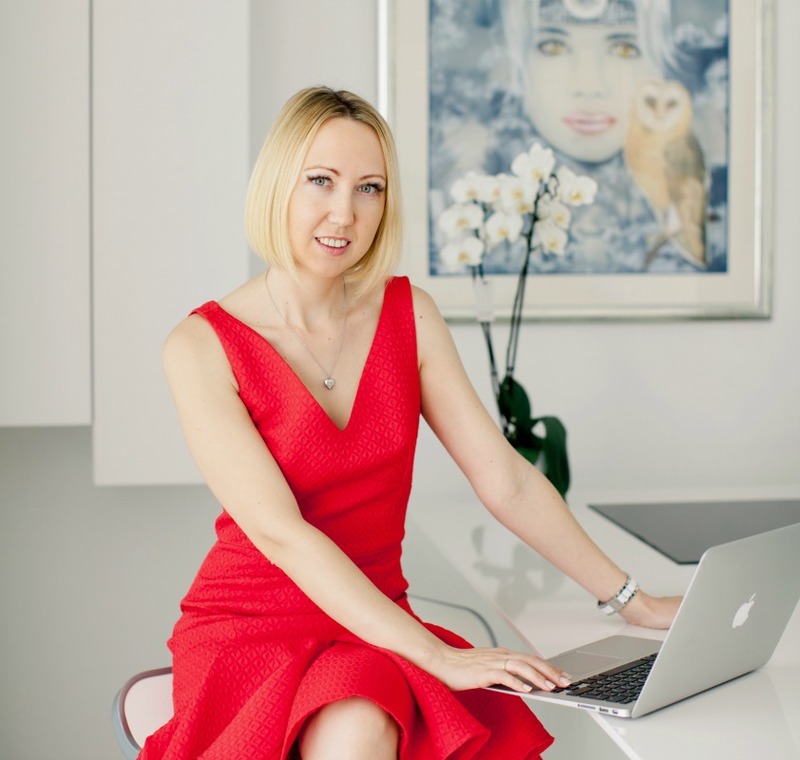 If you want to know more about our services and our tips to create luxury weddings, you can read more here or write to mail@nataliaortiz.com. We are waiting for you! 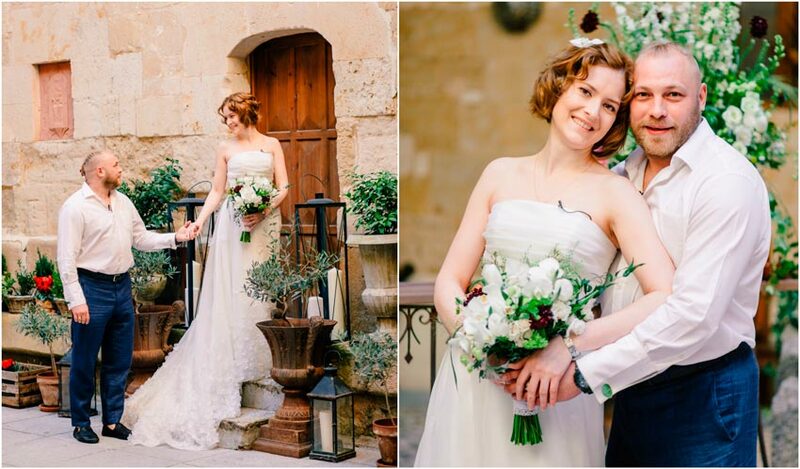 Anita wore a beautiful wedding dress with straps and beautiful neckline and back. The fabric was amazing, with transparencies and delicate rhinestones. 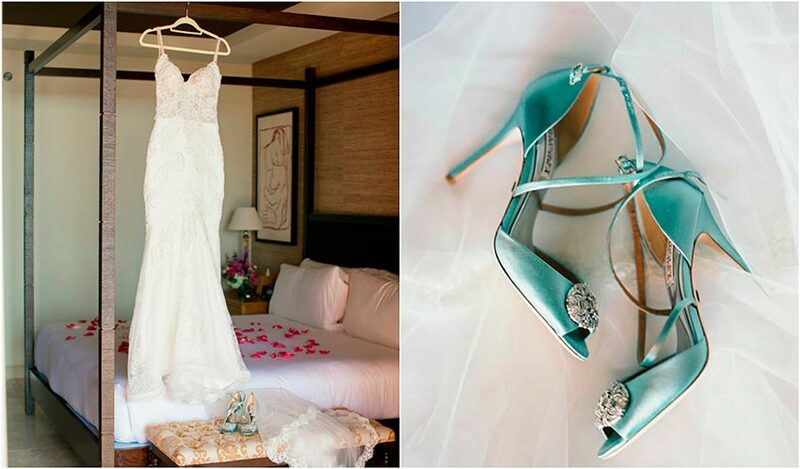 She chose gorgeous turquoise shoes. 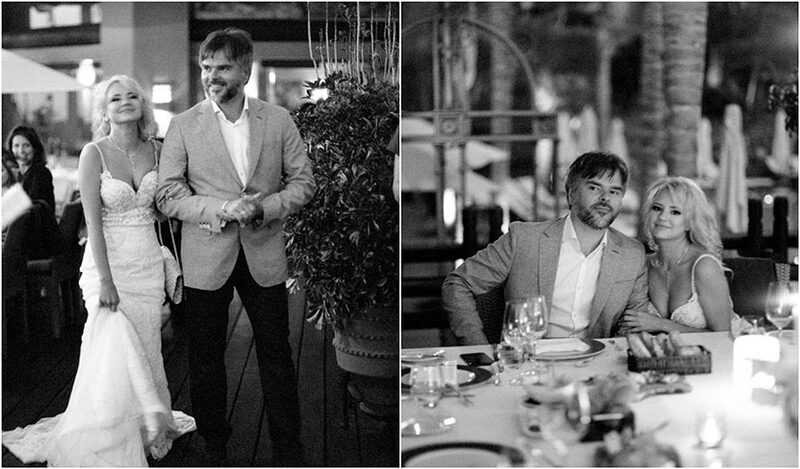 Alexey looked very elegant with black pants and a light blue jacket, very appropriate for a ceremony by the sea. 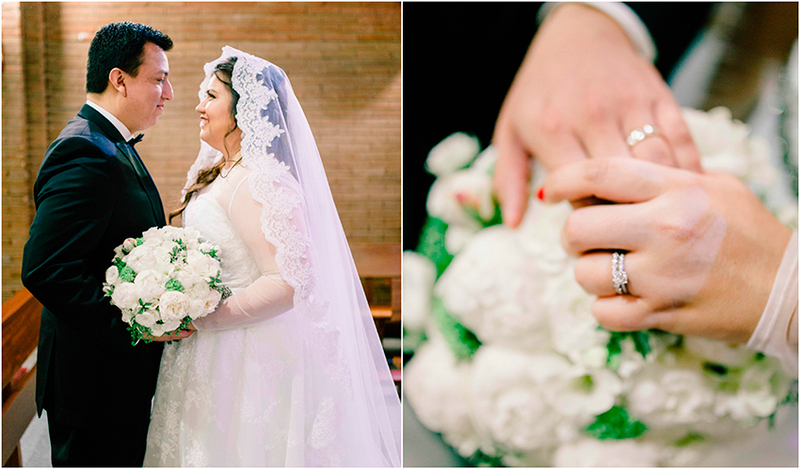 The flowers were the main decoration for this wedding. 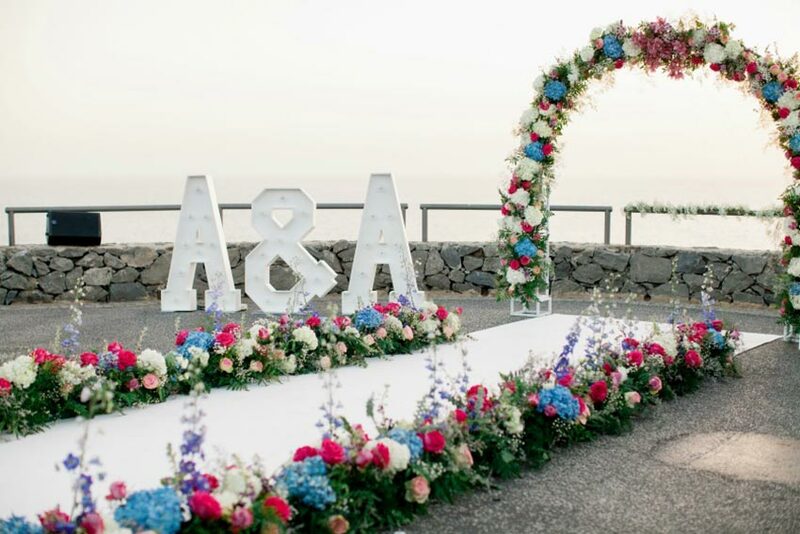 Beautiful flowers in white, pink, blue and green decorated the beautiful altar and the ceremony corridor. 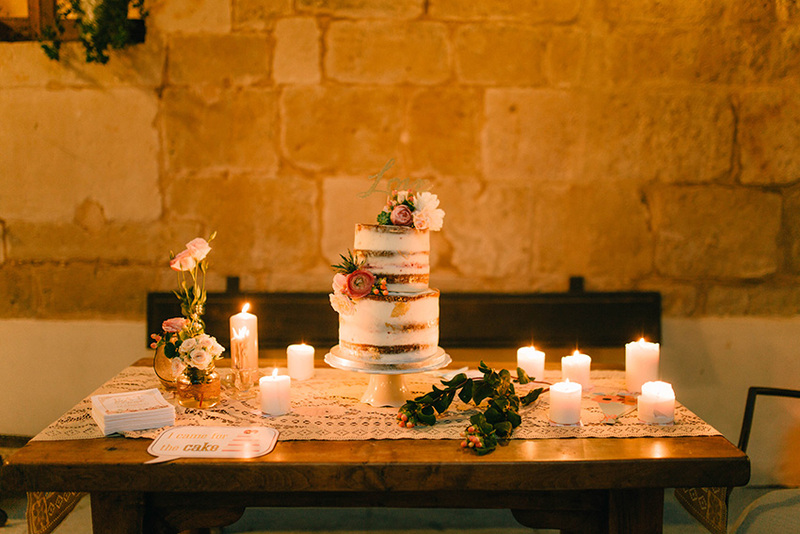 The flowers were also on the banquet tables and the spectacular cake. The couple changed for the dance. 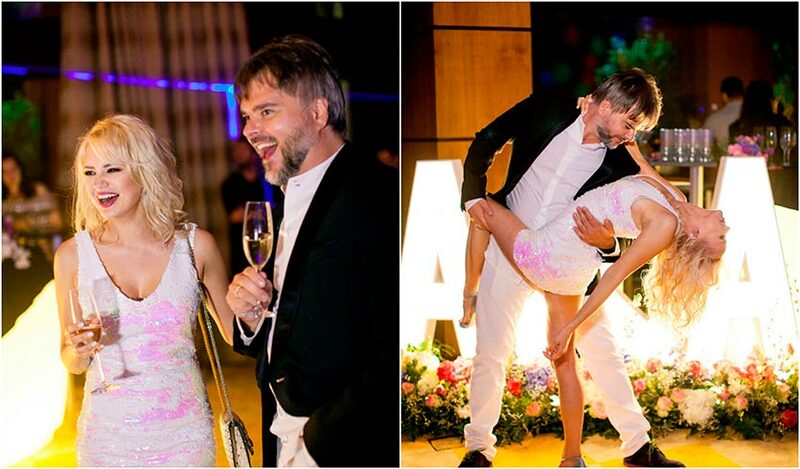 Alexey wore white pants and black jacket and Anita dazzled with a short dress with sequins. 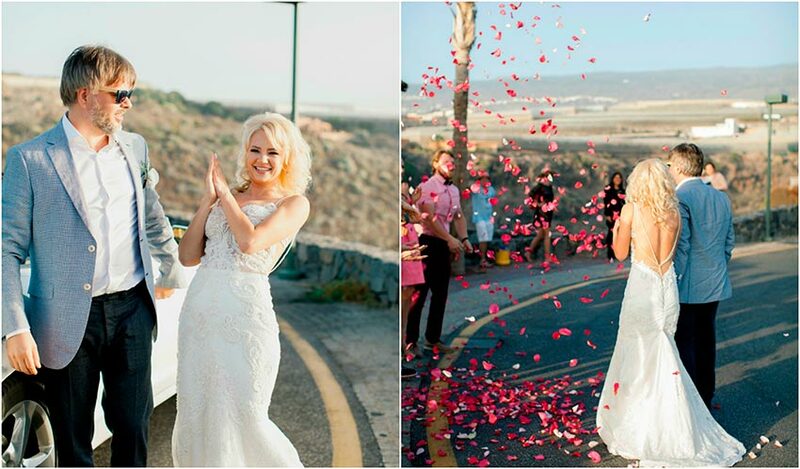 The place where the ceremony and the banquet of this wedding in Tenerife took place was a complete success. 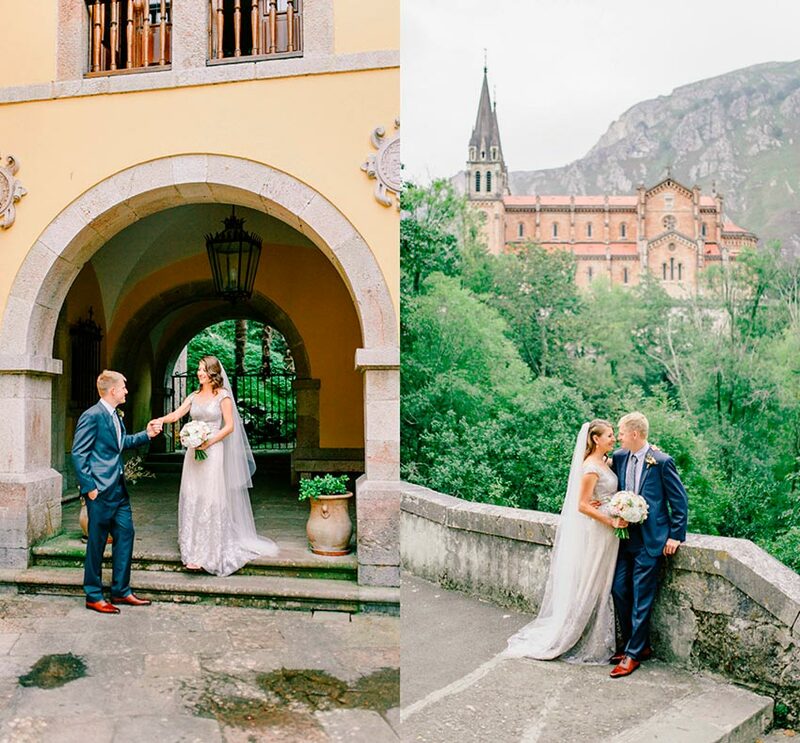 The hotel has a special charm with all the vegetation that surrounds it, so it made this wedding a unique and unforgettable moment.